Who can qualify in Florida for a sales tax exemption on utilities? 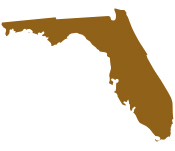 A manufacturer or industrial processor can qualify for a Florida utility sales tax exemption. In order to qualify, a minimum of 50% of the consumption of either electric, gas, or water must be used for direct production. A predominate usage study is required. How can one obtain the sales tax exemption on utilities in Florida? A valid utility sales tax exemption certificate must be filed with the appropriate utility company. When the certificate meets all the requirements and is approved, the Florida utility sales tax exemption is reflected on the bill. The sales tax is reduced or removed from the bill based on the results of the utility study. Florida does not require that the certificate nor the utility study be completed by a licensed engineer. However most companies recognizing the complexity of the study choose to use the service of an outside professional. The professional is the one to certify the study. On Your Mark’s engineers on staff are experienced in completing the utility studies accurately. This maximizes the chance of qualifying. Inaccurate information typically results in denial and forfeit of future savings. The utility study consists of listing every piece of equipment or appliance that uses the utility, e.g. electricity. In that example everything that uses electricity for production is to be listed and each piece’s annual KWH consumption must be included. The same thing must be done for non-production e.g. lighting, HVAC, and office consumption. The study is reviewed prior to approval. From this study, the production % is determined. In Florida if the production percentage is greater than 50% but not more than 75%, the meter qualifies for a 75% exemption. If the production percentage exceeds 75% then the entire meter is exempt and sales tax is removed from the electric bill. What is the scope of work of a Professional providing the Utility sales tax exemption work in Florida? Utility Study: The utility study is the major component to qualify for the exemption, and the study is completed, certified, and filed by On Your Mark – for free. It is common to have the study completed and ready to file within 30 days. After exemption approval and savings have been obtained, On Your Mark bills their fee. Refund Claim for sales tax paid on exempt meter: Prior sales tax paid on an exempt meter is subject to a refund. On Your Mark will vigorously pursue a claim for refund of back sales tax paid on the exempt meter(s) for the full period of the statute of limitations – 36 months. Minimize time and frustration: Choosing a professional for the exemption and study saves customer personnel time and frustration. Risk Free – Obtain the Utility Sales Tax Exemption – in the shortest amount of time: On Your Mark will complete the study and evaluation at no charge. On Your Mark only charges a fee when the customer has obtained savings. Results are usually obtained for the customer within 30 days.